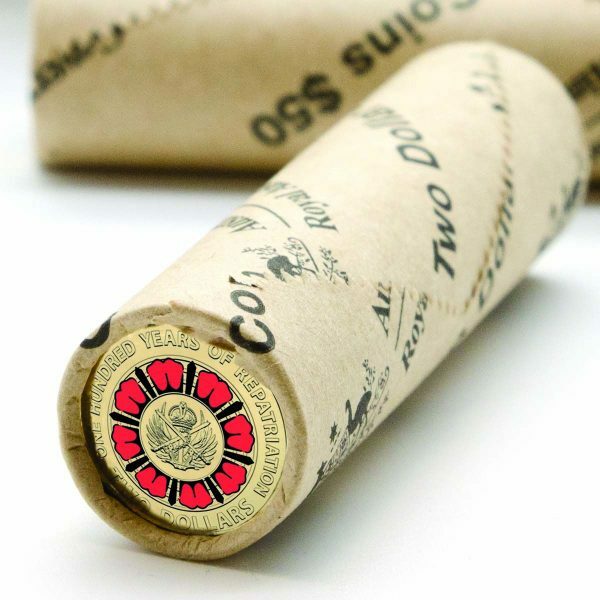 Official Royal Australian Mint roll of coloured $2 coins, released for ANZAC Day 2019. 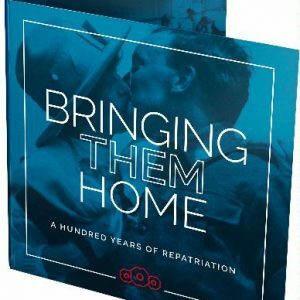 In 1919 the Australian government established the Repatriation Department, to oversee the vital task of bringing home to Australia tens of thousands of soldiers and nurses after the First World War. 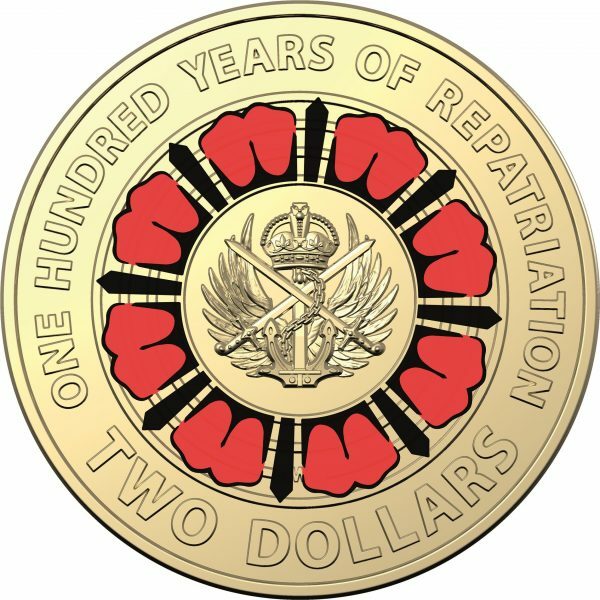 A century later, crucial support is still provided to Australian servicemen and women through the Department of Veterans’ Affairs. 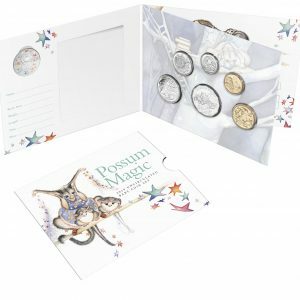 These special 2019 $2 uncirculated coloured coins in an official Royal Australian Mint Roll commemorate a century of repatriation in Australia. 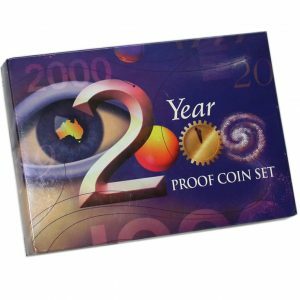 The mint roll features 25 uncirculated coloured $2 coins. The coin features the Ian Rank-Broadley effigy of Queen Elizabeth II.